Eating out with specific dietary requirements can be a challenge, and finding places suitable for a protein diet are no different. I was perfectly capable of meeting my needs at Quaker Steak and Lube’s Friday Lunch Buffet. 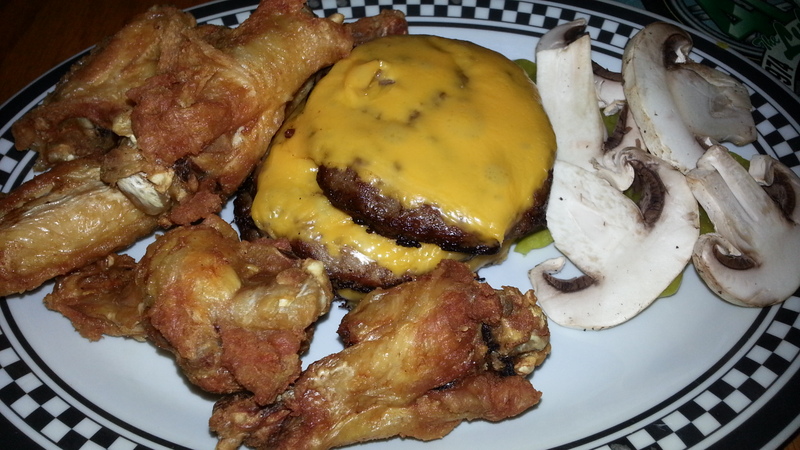 Cheeseburger patties with no buns, baked wings along with some banana peppers and fresh mushrooms filled me up splendidly. Yes I miss the Mac & Cheese, the French Fries, and to a lesser extent desert, but I survived.